8 years now on this blogging journey. You here each morning. Like the Sun rising. Laughing. And what a wonderful world this is. I love this, and the photo is the best! At the end of the day, it’s the little things that lift one’s spirits. As long as we notice! I so love William Stafford….thanks for sharing. ah-h, that childlike quality we all know…whether deep within or on the surface–Come and Play! the sense of smell…thought someone must have walked by with a delightful eau de toilette (lighter than a perfume), and realized it was from falling blossoms…a little heaven! Yes, we must not forget to take time to smell the roses! 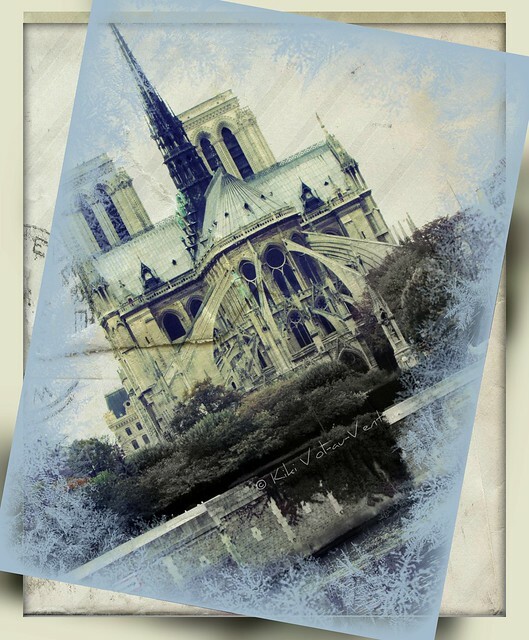 Aaaah, thats balm on the wound of the blazing Notre Dame, the cathedral I travelled nearby only less than 3 hours before the fire, when returning on the TGV yesterday…. You were there 3 hours before? I arrived in Paris and took my train from the center from the city to my home. The station is very close to the cathedral, so yes, it was roughly 2 1/2hrs before the fire. Such sadness…. So true! Love the Einstein quote. Einstein couldn’t do any wrong in my book! Smiling. Thanks Val! It is wondrous.